I feel very badly, for what must look like my abandoning this site. The last three weeks have been very hectic. It seemed like there was always something else that needed to be done. Even now, as we get ready for Christmas, many more things still need attention. Enough with the excuses, let’s talk about the Advent season. Jesus is coming! Joy To the World! Do You Hear What I Hear! I wish I knew of a way to play Christmas music for you, while you read here, right now. This is a happy time. It’s happy, but not because of gifts that we will receive. It is like the whole world is about to be reborn again. All the doubt and frustration of last year is being laid to rest. An opportunity for a new beginning is at hand! A time for joy and happiness is upon us. We distribute gifts to loved ones and acquaintances. Our focus is not, should not be on the gift, itself. The gift is an expression of the love that we have for one another. With Jesus, Love comes into the world. 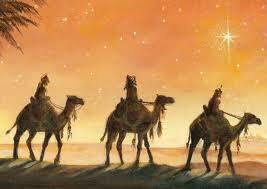 Once again, in celebrating His birth, we celebrate the infinite love that He has for each of us. And so, we try as best we can to pass this love on to others. I always feel guilty when I have to ask a person what he or she wants for Christmas. The fact that I have to ask is a pretty good indication that I haven’t been very attentive to that person’s needs. I had 364 days to observe what he/she needed, or could use. And yet, I still have to ask? If I ask, maybe too much attention is on the gift and not on the needs of the person. Gifts don’t always have to be bought. Maybe the person living next to us has no way to get to church, to the store. Maybe the person is unable to straighten or clean their house. Maybe they are unable to move their trash to the curb. Here is where our attention to others and what their situation is, will cry out to us what we can do for them. Just a moment of reflection and observation can tell us, the best way to pass on the love that has been brought into this world. Christmas can be every day of the year, if we let it.